The following are the main pledges made by the ruling military council in communiqués on their official Facebook page and in widely repeated statements on television and via other media outlets. In early March, the church in Sol, Atfeeh in the governorate of Helwan was set ablaze and demolished as a result of sectarian tensions. After mass protests, the armed forces pledged to rebuild the church before Easter. The task was completed on time and the new church is said to be finer than what preceded it. Early May marked another case of sectarian violence when a church in Imbaba was attacked and set ablaze. The clashes resulted in several deaths and numerous injuries. The army once again promised to rebuild the church and pay damages. The church on Wehda Street in Imbaba was rebuilt and some compensation was paid to owners whose shops were damaged. Civilians mentioned by name in official SCAF communiqués have all been released. Those the SCAF promised to release or retry are Mohamed Adel Mohamed Fawzy, Amr Eissa, Waleed Samy Saad, Ahmed Abdel Meguid as well as 120 others arrested on 9 March. It has taken a lot of public pressure to see Mubarak and his sons caged in a court room. This is one of the promises by the ruling military council that has been fulfilled. According to many sources, the parliamentary elections have been pushed back to November. Despite their promise to hand over power within six months, the ruling military council has chosen to remain in power, with no other date for departure announced. The very first promise to protect protesters was broken several times. Today, the promise seems permanently broken with SCAF and Central Security Forces (CSF) taking over Tahrir Square without explanation. In its message to the Egyptian people communicating via Facebook, the military council promised to answer all queries within 24 hours starting from 17 February 2011. The silence of the SCAF regarding many issues is in direct violation of the promise it pledged without coercion. This promise followed Mubarak’s overthrow, amidst apprehension from Egyptians as to how the military will respond to the demands of the people. This promise seems unfulfilled in many ways. There has been no adequate reform in the ministry of interior, the police or state media. On the contrary, many actions taken seem in opposition of people’s demands such as resorting to military trials and passing a law that criminalises strikes and sit-ins. Furthermore there has been no real reform in the legislative system which remains inadequate at fulfilling justice demanded by the Egyptian people. The SCAF may have misunderstood people’s demands or has not been competent enough to execute the reforms necessary as was promised. Communiqué 22 was issued on 26 February after the violent dispersion of protesters on the night of 25 February when calling for the resignation of then-Prime Minister Ahmed Shafiq. The message was for the most part a confession and an apology for breaking the promise in Communiqué 1. It also contained a promise to take all necessary precautions so that such events were not repeated. What were these measures? How could these measures have been taken if the military police are present at every protest? Indeed, the measures have proven inadequate judging by events like 9 March, 8 April and 1 August where violence and torture were reported. Despite the promise, there is the well known case of Amr El-Behairy who was sentenced to five years imprisonment. Amr El-Behairy was arrested on the night of 25 February despite numerous witnesses attesting he was unarmed and innocent of charges brought against him. Others were released, but because not all were released to date; this promise can be marked as broken. 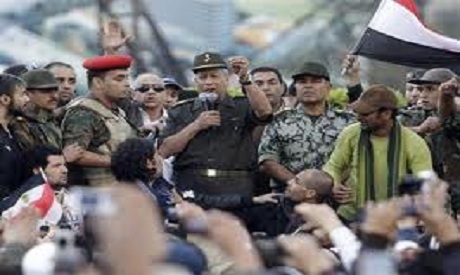 On 27 March, the SCAF denied the postponement of presidential elections to 2012. While technically this denial cannot be proven false until the end of the year, it seems so far that presidential elections have in fact been postponed to 2012. This was pledged by the ruling military council on 28 March in reference to the events of 9 March when the sit-in at Tahrir Square was dispersed violently with reports of mass arrests and torture in the vicinity of the Egyptian Museum. The "torture" also refers to the virginity tests done on females as reported and documented by El-Nadeem Centre for Victims of Torture, Amnesty International, The Washington Post and CNN. To date, none of the officers involved have been held accountable, which adds this to the list of promises broken by the ruling military council. This promise, while implicit in many of the media releases, was explicitly stated on 28 March in Communiqué 30 while ordering the release of artist Amr Eissa. Yet many have been arrested and referred to military courts without any adequate evidence and have been proven not to be thugs. The fact that activists have been referred to military trials before and after the communiqué is strong proof that this promise has been broken. On 2 April, the armed forces pledged to treat citizens on the basis of equality and promised quick justice. Yet protesters alleged to be "thugs" were tried swiftly in military courts while members of the old regime and killers of protesters were given slow civilian trials. Justice was postponed indefinitely for most of the cases, including the murder of prisoners during the 10 days from 28 January. No serious steps have been taken to retrieve any Egyptian money abroad. On a side note, the military council issued vowed to investigate the events of the match between Egypt’s Zamalek club and Tunisia’s African Club where riots took place after Zamalek’s defeat. We have yet to hear the results of these investigations. On 27 April, the military council claimed that the Egyptian media has complete freedom to discuss whatever topic it chooses. This came at a time after a note had been circulated to all media outlets by General Ismail Etman of SCAF dated 22 March asking them not to publish anything related to the army without approval. This also comes at a time when an on-air programme with presidential candidate Bothaina Kamel was ordered to end prematurely only a few days after the communiqué had been issued. Combined with the summoning of media personnel for questioning, such as activist Hossam El-Hamalawy, TV presenter Reem Maged and journalist Rasha Azab for statements made on television and in the press, this statement becomes one of the most prominent promises broken by the ruling military council. This is unfulfilled rather than broken, not because we can determine whether it will happen or not, but because no steps have been publicised revealing that the mechanism will be put in place, especially in absence of an electronic voting system. Until we learn more about plans to implement such a promise, this remains an unfulfilled promise. On 13 May the military council promised to retry all revolutionary youth, especially those arrested during the months of March and April. A part of this promise has been fulfilled as a direct result of other communiqués. Although a great part of the prisoners arrested on 9 March were released on 18 May, the promise leaves much to be desired. There are over 12,000 civilians tried in military courts. The court conditions have not guaranteed any fairness and despite the promise of this communiqué, many remain in military prisons until today. Ramy Fakhry was a 27-year-old Coptic electrical engineer who was allegedly killed by the army on his way to work on 13 May 2011. Despite the promise to investigate his death, we have yet to hear the results of the investigation. The army has stated that it has taken the side of the revolution and revolutionary youth. Communiqué 69, however, accuses the 6 April Movement of creating a rift between the army and the people. The accusations are devoid of substance, while allegations of foreign funding were used as means to defame the group. Meanwhile, it is known that SCAF accepts foreign funds from numerous sources, including the US. If the 6 April Movement was acting against the best interests of the country, the military should have come forward with evidence. If not, do these accusations not cast doubt on claims that the military has indeed taken the side of the revolutionary youth?